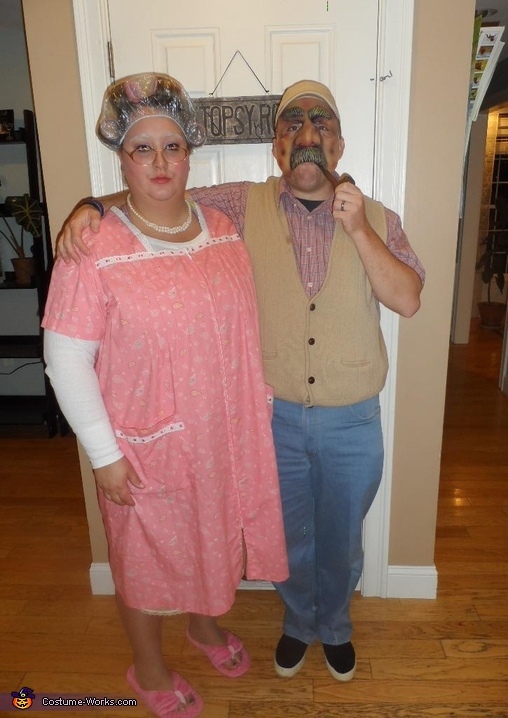 Me and my husband want to be like this when we get older! No joke, my hubby got his entire wardrobe(except for the mask) out of his fathers closet! I got my stuff at Walmart in the Women's dept.